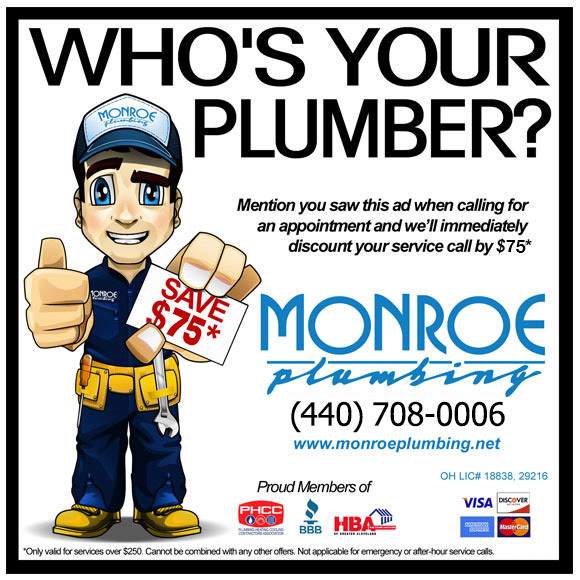 About Us | Monroe Plumbing, Inc. Established in 1987 by brothers Brian and Keith Monroe, the company has grown to approximately 30 employees with more than 250 years of collective experience. Monroe Plumbing, Inc., specializes in plumbing repairs, upgrade projects, new home construction, and commercial construction. Our expertise is in supervision, quality, service, and scheduling. Our plumbers, on average, have 12 years of experience each. We enjoy an excellent relationship with both our builders and suppliers. Some of the top-quality products offered come from well-known manufacturers including Moen, Mansfield, Lasco, Kohler, Bradford White, Rheem, and many more.